The Bomber is not like most fatbikes. At less than 11kg (XX1 groupset), its super lightweight carbon wheels and frameset enable it to literally fly over every surface. No need for suspension when running 4 or 4.8" tyres as they provide massive amounts of traction, yet don't sacrifice rolling performance. You really do have to ride it in order to appreciate how fast and fun it is! 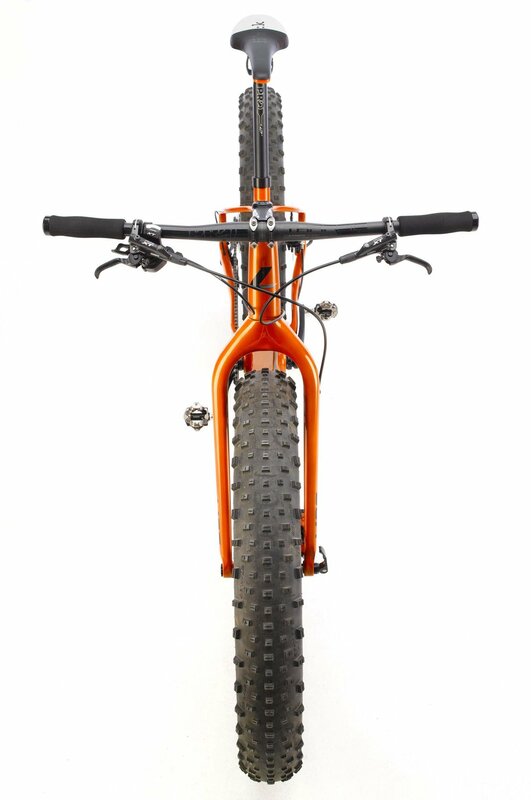 The LIOS Bomber fatbike bike is available in four groupset options. It's hard to believe it, but the Bomber rides like a normal mountain bike. The frame is strong and robust, yet at 1,450g it's seriously light, so you can throw it around the trails like an elite hardtail MTB! Includes frame, forks, Cane Creek headset and frame furniture.